finished prayer the reward was ready for him. One day mother forgot to place the sugar but the boy still found sugar after his prayers since that day his mother started calling him "Ganjshakar". to have the privilege of maintaining their own court, palaces, as well as their own private armies, which often numbered several thousand. The Paigah Tombs that grace the city among the many wonders that fill the pages of the most promising history. The marvelous artistry of the Paigahs is shown in the mosaic tile work that has been inlaid. 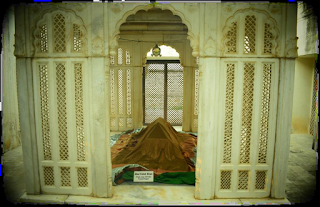 Abdul Fateh Khan Tegh Jung was the first who buried in 1786 at the place which later became the family Maqbara built as per the generations of the members of their families, mostly renovated by his son Amir-e-Kabir I (in the 1880s some additions were made by Sir Asman Jah, Sir Khurshid Jah, and Sir Vikar Ul Umra)., the tombs of several generations of the Paigah nobles include Abul Fatah Khan Shums ul Umra I to Shums ul Umra v, Sir Asman Jah, Sir Khursheed Jah, Sir Vicar-ul-Umra, Sultan ul Mulk, Lady Vicar ul Umra, Lady Khurshid Jah, Lady Asman Jah, Moin ud Dowla, Zaheer yar Jung and other members of the Paigah Family. This is easily approachable and is set amidst a labyrinth of concrete houses built around the 30 acres of property in which the tombs are nestled. They are almost obscure and a marvelous piece of artistry in marble lost in time. 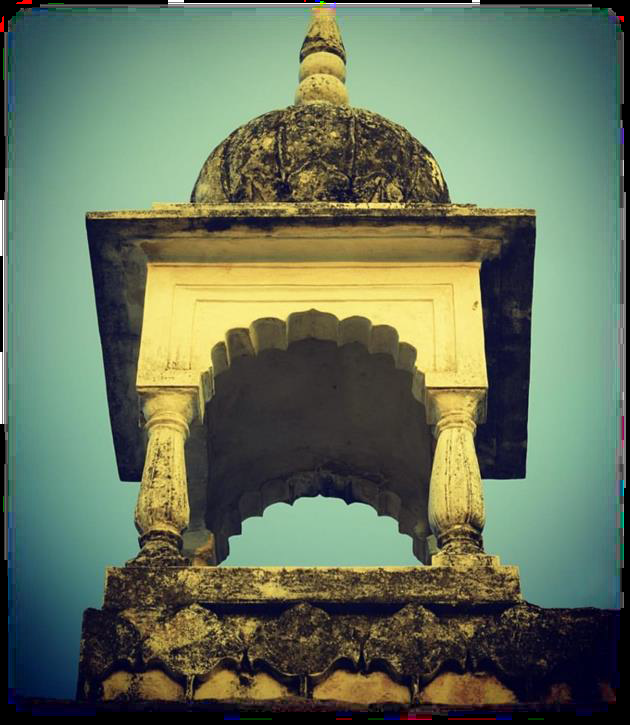 The Indo-Islamic architecture is a fabulous décor in stucco work, representing the Mughal, Persian and Deccan style too. The geometrical designs with their perforated screens are unique in their make and craftsmanship. 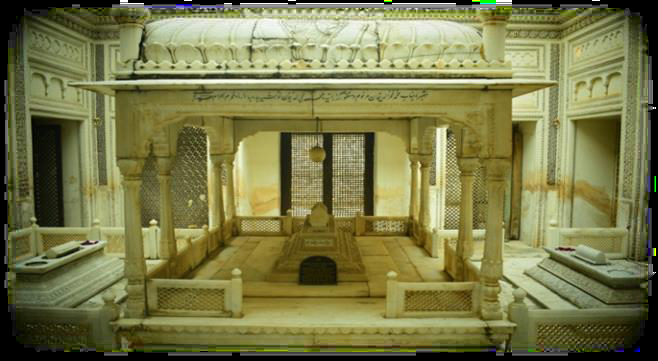 The Paigah tombs are near to the Dargah of Barhana Shah Sahab are very delicate and splendor works of art in Mughal Provinces Style. 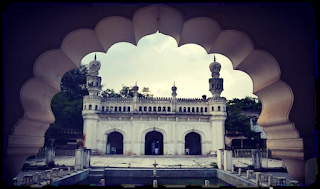 Though these stunning tombs are strewn over 35-40 acres, tombs of the Paigah as who had married daughters of the Nizams and their spouses are confined to a two-acre site. 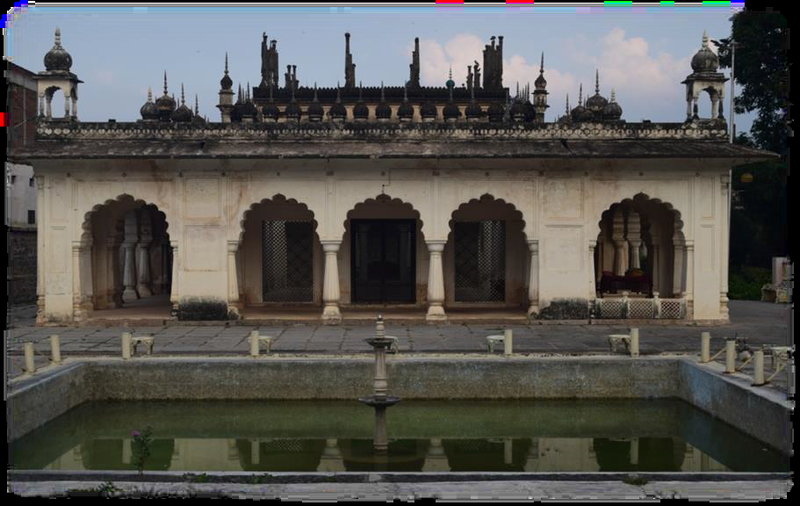 It is this enclosure which is now known as Paigah tombs., are in the shape of chaukhandis with latticed panels but open to sky. 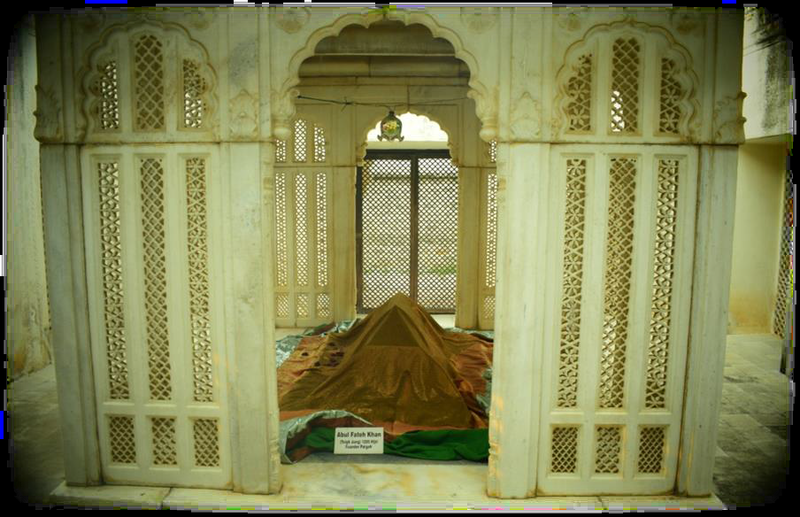 The Paigah nobles preferred their graves to be without any roof. 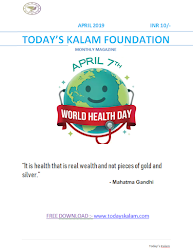 It is as per the simple tenets of Islam. The surrounding beautiful structure of walls have latticed panels with geometrical and floral design. 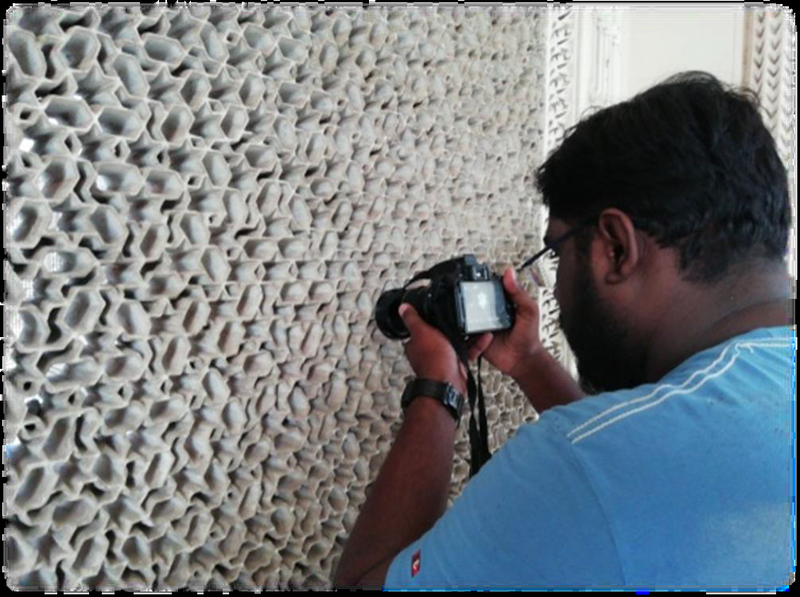 The delicate polished stucco work and Jali is art is tic which represents the general style of the period. 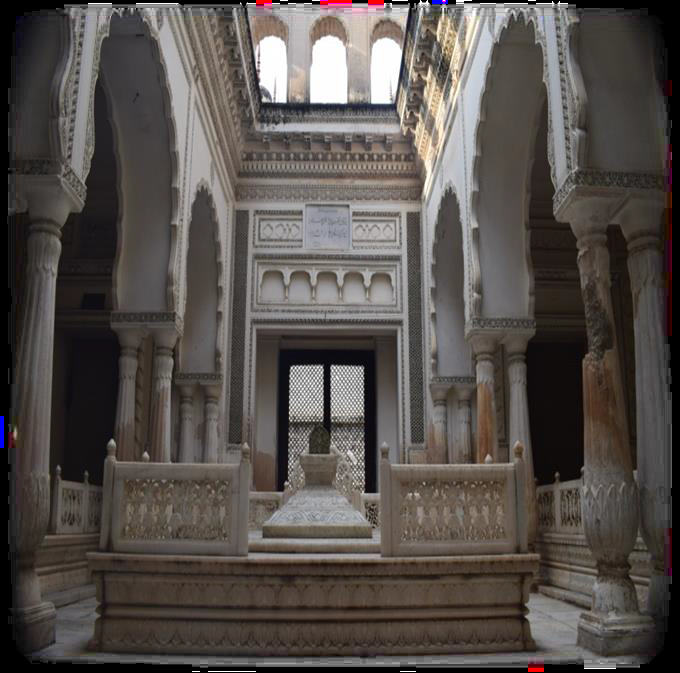 Each step you take around the mausoleum will bring you closer to the exemplary craftsmanship with elaborately carved canopies and marble inlaid floral designs. The most fascinating aspect about the destination is that none of the designs are repetitive. 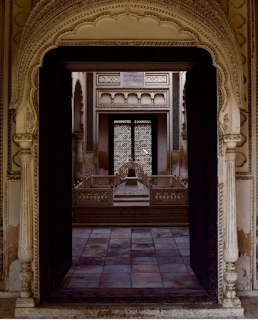 Each of the Paigah noble’s tombs features something uniquely different and part of the wonder is in discovering the differences in the carvings. beautifully carved and are magnificent pieces of art. 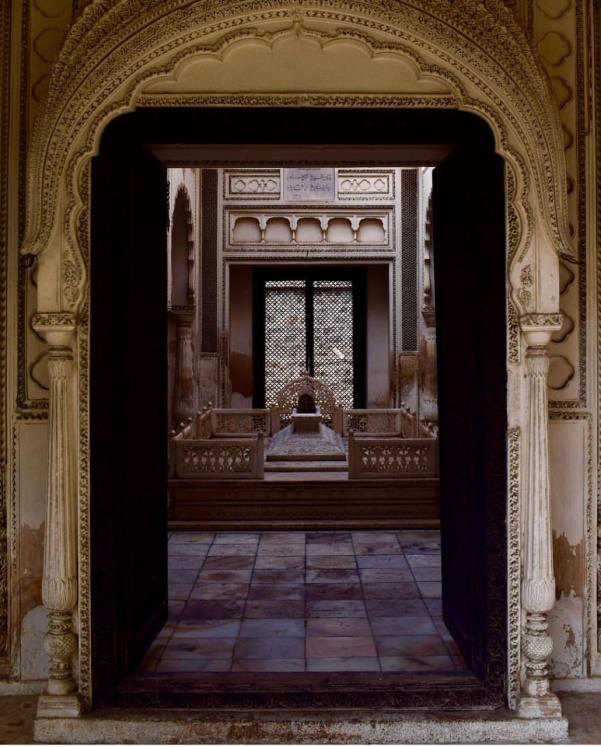 The detail of the stuccowork on these structures is intricate. They have become extremely popular because of the geometrical features carved on them. Apart from the geometrical designs, the floral designs, trellis marble fencing, and canopies are also very intricate and beautiful. 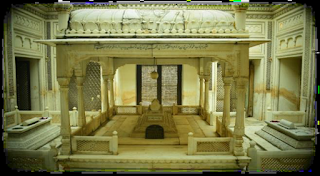 The Tomb of Asman Jah and Begum Khurshid Jah attract maximum number of tourists. The structures are made of marble and were once adorned with precious and semi-precious stones which changed colors with the change of seasons. The Tombs are enclosed by a wall which is ornamented with lattice work and exotic floral and geometric designs. Each wall is done up differently with flowers, vases, etc. 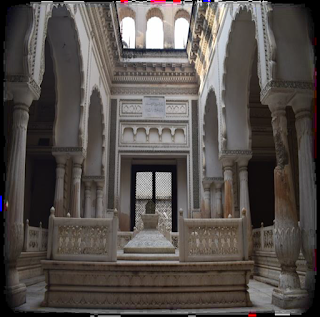 The mausoleums themselves feature differing designs but all have exemplary craftsmanship, utilizing elaborate canopies and marble fences done in trellis-work that are made up of geometric and floral designs. 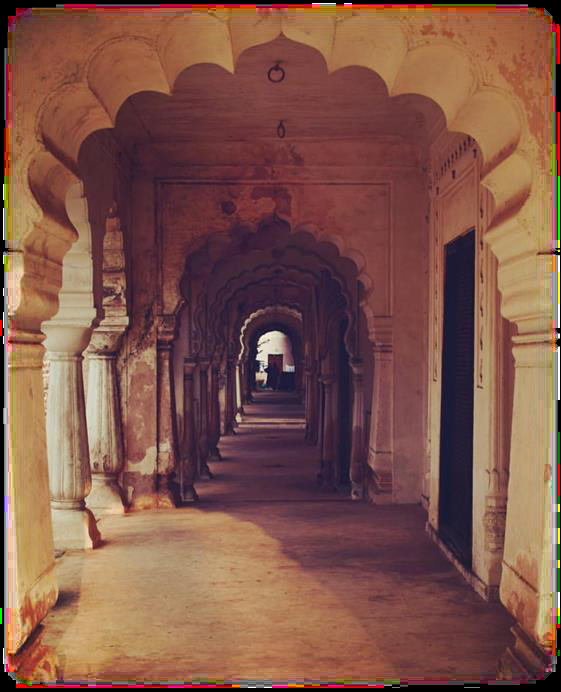 Arches fringed by smaller semi-circular arches–a feature unique to India - are also employed. 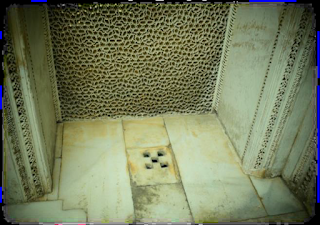 Each of the Paigah noble’s tomb feature something unique different and part of the wonder is discovering each of the difference. 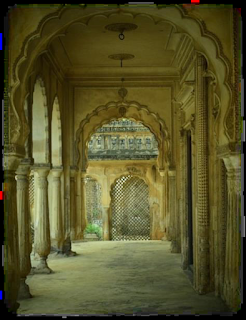 All of these are housed by walls that are intricately designed by a wealth of latticework and exotic designs. It is indeed a wonder it took a long time before these beautiful and awe-inspiring tombs were discovered.